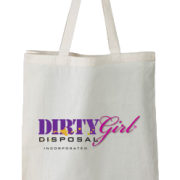 DirtyGirl Disposal is a woman-owned and operated waste disposal company. We are in business to provide roll-off containers and compactors to haul trash, construction and demolition waste and recyclable waste. In addition, for an additional cost, we will provide the labor to clear out the debris from your location. We are located in the Worcester area and provide services within a thirty-mile radius. That translates to areas just West of Boston to just East of Springfield, along the Route 2 Corridor (approximately Athol to Acton), up to the Fitchburg area and down to the Connecticut border. There are plans to expand our service area, as we continue to grow. Our customers include residential accounts, property managers, commercial accounts, small businesses and contractors. Katherine Fairbanks is the founder and CEO of DirtyGirl Disposal, Inc., a dumpster company that empowers and trains women to work the industry as Commercial Truck Drivers. 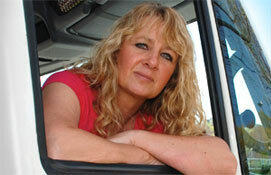 She began in the waste industry in 1990 with her husband and took over independent operations in 2005. The concept for DirtyGirl Disposal developed while driving a garbage truck for her primary company, Millbury Rubbish Removal, with her daughter picking up residential trash. Three adult children and four additional employees work with Katherine between the two companies. As you can only imagine balancing the family and the business can concurrently be an arduous and rewarding process. But she wouldn’t have it any other way! The waste industry was not Katherine’s intended career choice, as she is educated with a AS in Business, BA in Education and a MS in Public Heath Nursing. She also holds a Professional Driving Instructor’s Certificate and teaches individuals for the CDL B (Commercial Driver’s License) exam. She holds several trademarks and is in the process of patenting an invention. Katherine has three granddaughters and two grandsons. She enjoys creating opportunities for the whole family to spend time together so all the cousins will know each other well. She is blessed to include five generations in her gatherings. In her free time (which isn’t much), she enjoys many outside activities such as hiking, cycling and traveling. Fun Fact: When Katherine drives for the residential routes, she collects “box tops for schools” from recycling bins to donate. Bucket List: Attend a Patriots Super Bowl in a warm climate and fill her recycling bin with pennies (already half full).